This month, Living Sensationally came out in paperback! We picked new cover art, which reflects the springtime and gives readers a different set of sensations to experience from the hard cover art. I am so delighted to have both options available to people so they can have the one that meets their needs. If we are all "sensational", do you believe that SPD/SID etc. exists? Is there a pathology that may accompany sensory processing differences or are there simply environmental mis-fits? 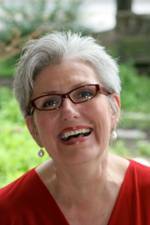 Do we need a DSM diagnosis or a new world order or a combination of the two? I'd say the issue is one of comfort and function in an individual's daily life. If occupational engagement is hindered due to sensory processing differences, then yes, perhaps a the existence of a diagnosis (ala L.J. Miller et al) is quite in order to help access services and intervention. That said, I struggle with the pathologizing to legitimize, even though in the short run it may offer relief to those with intense sensory processing differences. You may remember me; I emailed you a question on scoring for your Sensory Profile test, and whether an educator could possibly score a child consistently within a single column. I don't know if I ever thanked you for your reply (I don't think it effected any response by the school, as we went into due process), but it cemented in my mind how important sensory integration awareness and utilization is. I also endeavor to write about it, for the greater education of all children. Thank you for your efforts. May you have continued success. I do hope one day to join ranks with you in the publication of these types of books, as I see how much they can do for the brain in even recognizing the principles of sensory integration. I have a question to ask, if you would email me back, if possible. Thanks. thanks so much for writing on my blog! I am so grateful for support for this effort from colleagues like yourselves; it makes all the difference to me! 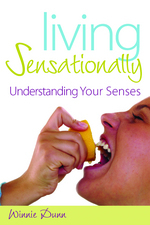 I wrote Living Sensationally to illustrate that sensory responses are part of the human experience, and not reserved for people with particular disabilities. It is interesting that we figured out many of these responses by studying people who are more likely to have intense responses to sights, sounds, etc. because the patterns were easier to see that way. Now that we understand the patterns, we can apply the ideas to everyone's responses; this makes even intense responses more understandable and provides a way for us to accept each other more easily. As occupational therapists, we are concerned with how people occupy their time, so the most important question is about whether the person's sensory patterns [whatever they are] are interfering with desired or necessary life activities. Our metric is about life satisfaction and success.